Q: I purchased a home approximately 2 1/2 years ago. I put 20 percent down and kept my initial mortgage to approximately $260,000. I was able to qualify for a 30-year mortgage at 6 percent. Currently my home is appraised at over $700,000. I’d like to reduce my monthly mortgage and also be able to take out some of the equity and invest in other properties. I probably won’t be able to get a rate better than 5.2 percent to 5.5 percent today. I have sufficient funds to put down another 20 percent on a different property and refinance my home. Is it worth refinancing or would it be too much trouble? 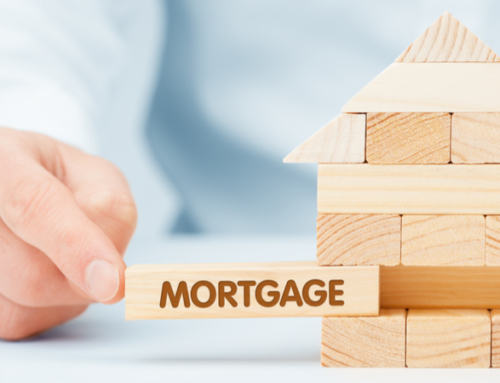 If so, should I go for another 30-year mortgage or do an adjustable rate mortgage? I plan on renting out my primary home and moving to the new property. A: Unfortunately, some mortgage interest rates have risen from where they were three years ago. They’re now approximately 6 percent for a 30-year fixed rate mortgage but the shorter term rates have gone up substantially in the last year or so. Which makes me wonder why you paid 6 percent 2 1/2 years ago. Back then 30-year fixed rate loans were at least a half point lower than where they are today. Did you have less than perfect credit? Did you opt to put the fees back into the loan instead of paying cash for them? I can’t see any way for you to reduce your mortgage payment unless you opt for an interest-only loan. You could do a cash-out refinance with an interest-only loan and that would cut your payments significantly, particularly if you chose an interest-only period of 10 years. At that time, however, the loan would adjust and you would have to pay off what amounts to a 20-year mortgage. I normally would worry if someone was getting an interest-only loan without having much equity in the property. But it sounds like your home has about $475,000 in equity, so the fact that your payment would only cover the interest owed on the loan instead of interest and principal isn’t a concern for me. Even if your home does not appreciate in value above where it is over the next few years, you’d be covered if you had to sell. How much could you save? Depending on how the loan is structured, and how much cash you decide to pull out, you could save $200 to $400 per month on your monthly payments. As for getting a 30-year fixed rate loan or an ARM, it depends on how long you plan to keep the home or the loan itself. If you get a 10-year fixed period for your interest-only loan, you’ll have a number of years in which to decide what your next move will be. But the difference in rates between the 10-year loan and a 30-year loan is rather low. But if your properties keep appreciating as fast as your initial purchase has, you may decide not to keep the loan, but refinance and draw more money out to make another purchase. If that’s the goal – to keep refinancing and purchasing more properties – then you should become intimately acquainted with ARMs and find a good lender you can work with over the long haul. For more details, talk to several loan officers who offer interest-only programs.